We are proud to have been offering discounts to the Emergency Services, NHS and Armed Forces since September 2008. This September, Blue Light Card turns 10. BLC10 plans to celebrate this and engage with our community of members to thank them. We will be running special events, adding new features, running competitions and more. We will be adding the latest activities to our social media and news page in order to keep members up to date with BLC10. Make sure you follow us on Facebook, Twitter and Instagram. Click the register now button below and fill out the information. Once you have filled that out you will receive a verification email in which you will need to click the link to confirm your email address. You will then be verified by our staff and can access the website. You will need to provide work specific information in order to sign up for this service. 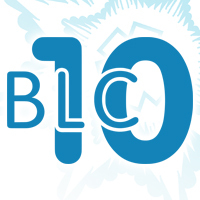 Read the latest news regarding the BLC10 campaign on our news page.